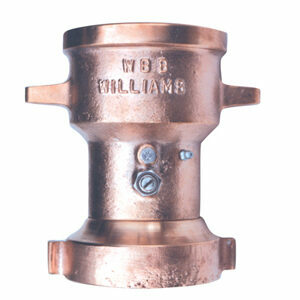 The Big-Tee is a premium grade industrial master stream nozzle with an exclusive “flush” feature. In flush position, the nozzle will purge particulates up to 0.25” (6 mm) in diameter, substantially reducing downtime during firefighting operations. The Big-Tee is a premium grade industrial master stream nozzle with an exclusive “flush” feature. In flush position, the nozzle will purge particulates up to 0.25” (6 mm) in diameter, substantially reducing downtime during firefighting operations. Discharge pattern is fully adjustable from straight stream to full fog. 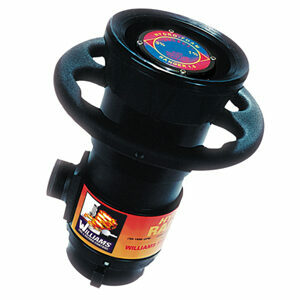 Nozzle features large composite rubber covered brass handles for positive stream control. 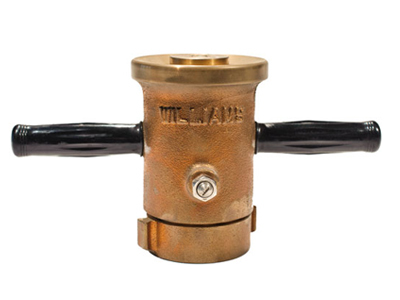 The Big-Tee nozzle is constructed from corrosion resistant all brass and comes with a 2.5” (F)NH inlet swivel connection. 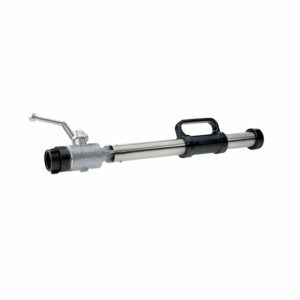 Standard flow rates are available at 350, 500 or 700 gpm (1,325, 1,893 or 2,650 Lpm) at 100 psi (6.9 bars) nozzle pressure.